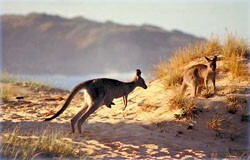 SydneyDaytoursAustralia.com: Is an Australian travel company operating since 1999. We are a small business fully Australian owned and operated situated in Sydney with Industry trained local staff and accredited travel management making an experienced team. Our first retail shop was established in Kings Cross in 1999 recently our agency has now moved to online travel to offer our clients the cheapest and competitive deals. Conditions: The company issuing this ticket does not hold itself responsible for any loss or accident that might be occasioned to the holder thereof, or loss, damage or theft of any description through any delay or by any mishap or due to weather conditions. Availability and prices may change without notice (prices are valid until 31st March) and the terms and conditions of each company will also apply. All tickets are non transferable. We advise all clients to be covered with Travel Insurance.